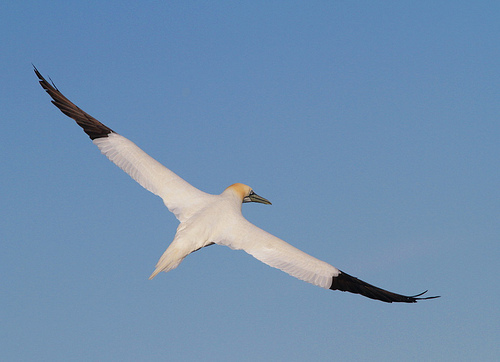 The Gannet is a graceful seabird. It is well-known for its long, pointed black and white wings and its long dagger-shaped beak. 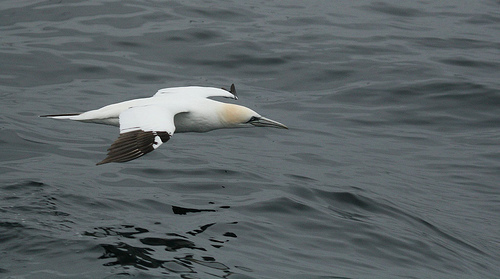 From a height of several meters it dives with great speed into the water in its hunt for fish. 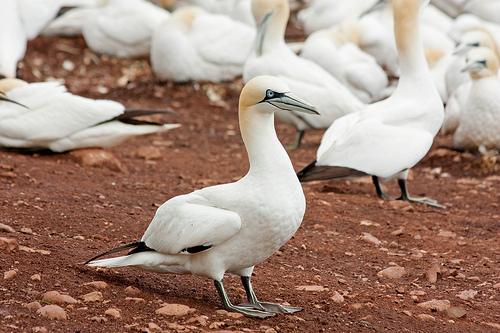 The Gannet has a lot of black on its wings and a long dagger-shaped beak.